"If you’re trying to contribute as little as possible to the two global calamities of climate change and the swirling gyres of forever-materials slowly filling our oceans, there’s a useful formula to keep in mind: Use fewer things, many times, and don’t buy new ones. 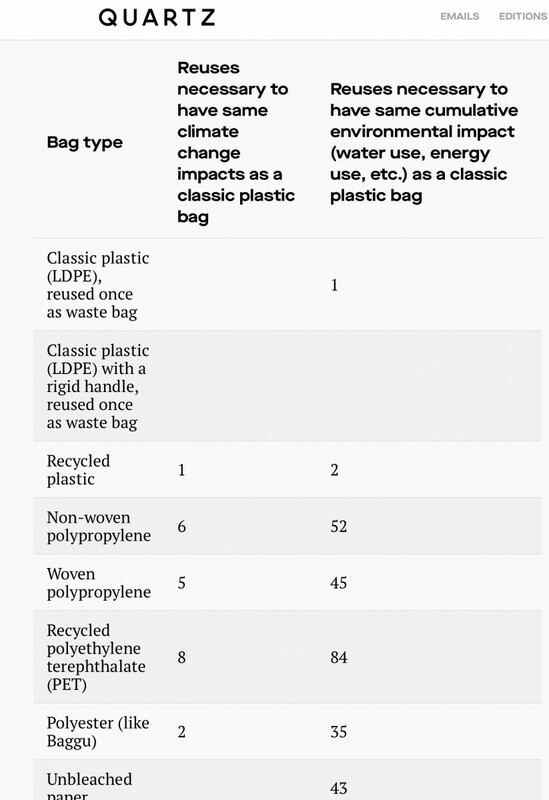 To understand the impact of reusable bags on the environment, one has to hold two very different things in mind. One: Plastic bags do not biodegrade and are stuffing the oceans, marine life, and our food supply with plastic bits. 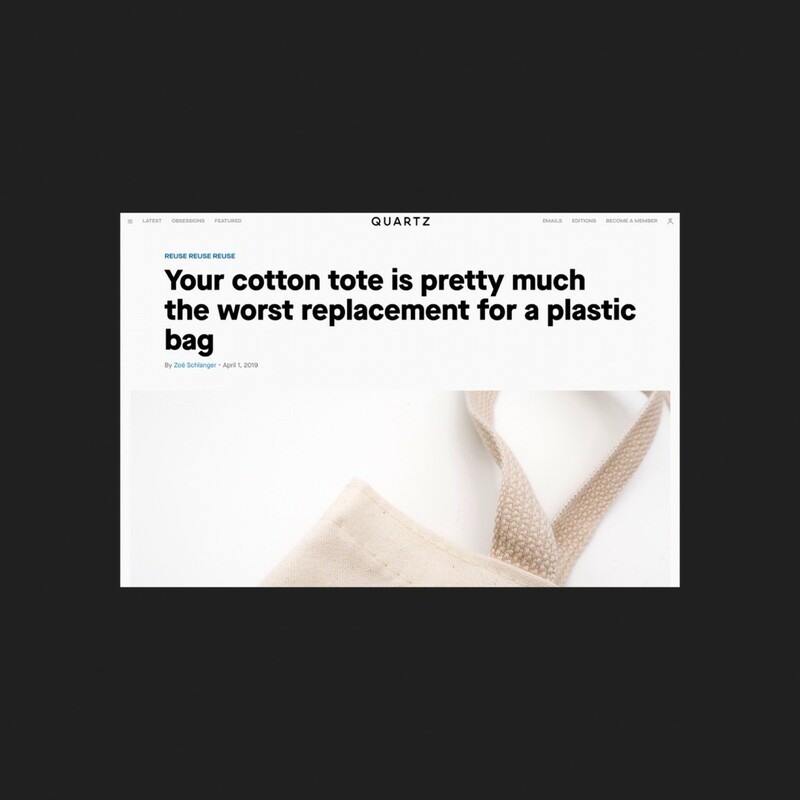 Two: Considering all the other environmental impacts besides litter, a cotton tote or a paper bag may be worse for the environment than a plastic one." 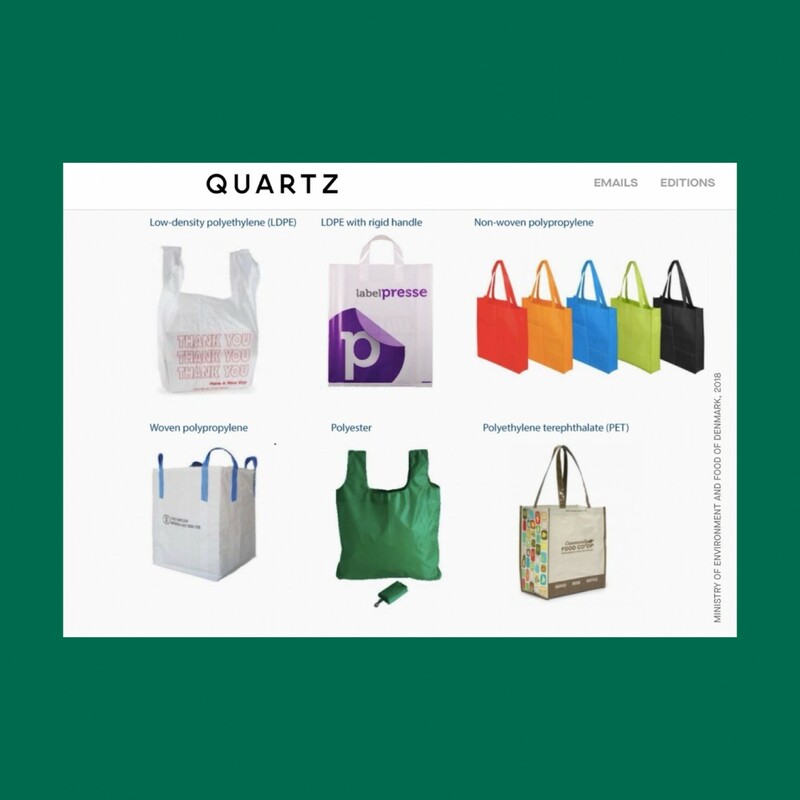 "The simplest advice for individuals seems to be this: Whatever you have in your house now—be it a pile of cotton totes, or a jumble of plastic bags—don’t throw them out. Keep using them until they fall apart. Whatever the material, use it as a garbage bag once you can’t use it for other purposes any more. And whatever you do, try not to buy new ones. Plus, knowing how many resources it takes to make a piece of cotton, treat fabric items in your home like infinitely reusable resources worth their carbon-mitigating weight in gold. Find new uses for old clothes, use textiles until they wear out, and when you want something new, buy vintage." "Fashion as Industry may disappoint, but Fashion as Art should inspire."